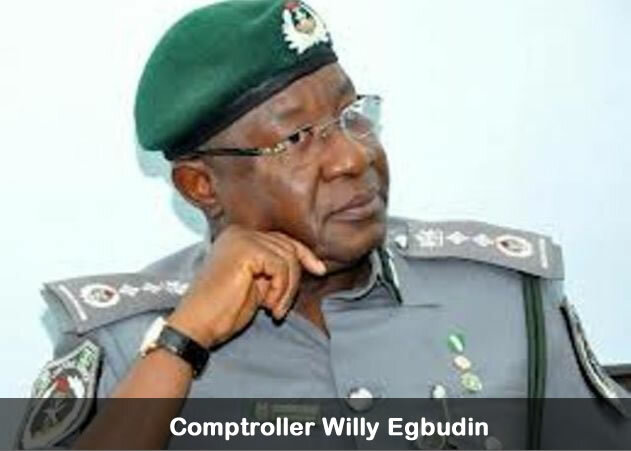 One month after the Customs Management Board approved the promotions of its officers across board, a customs licensed agent, Achike Molokwu has called on the Comptroller General of Customs,Dr. Dikko Inde Abdullahi to commence immediate redeployment of some customs officers at the Tincan Island Command. Molokwu who was speaking to Primetime Reporters at the Tincan island Ports, Lagos stated that with the migration to the ASYCUDA++ and the National Single Window platform, there won’t be any need for too many officer at the ports. He maintained that too many officers at the ports lead to duplication of duties at the ports thereby making the clearing process so cumbersome adding that in the current dispensation, only officers who are Information and Communication Technology (ICT) compliant were needed at the ports. According to him,” what we are saying is that after this promotion galore, there should be postings, serious postings. We are in the ASYCUDA++, we are going to Single Window system and when we get to single window system, we don’t need more officers at the ports, Tincan Island ports, Apapa ports and other terminals”. “They duplicate duties, we don’t need officers, we need very few officers that are computer literate, that has the password so that they can go into the computer and deliver so that we can achieve the 48 hours cargo delivery at the ports”. Molokwu observed that the DCs posted to the ports especially Tincan Island port were to many wondering what they were all doing at the port thereby calling on the Comptroller General of customs to redeploy them to area such as the border stations where they would be useful in fighting smugglers. He disclosed that at the Tincan Island command, DCs at the command were more than 20 in number doing nothing than stamping documents even as he insisted that those stamping culminates to corruption since they do everything to frustrate the online clearing process making inroad to the sector. He advocated for the Acs whom he said were the real actors in the customs documentation to be empowered more in order that they would effectively carry out their duties. Molokwu who is also the Managing Director of Achims Nigeria Limited bemoaned the activities of the officers at the Customs Intelligence Unit (CIU) saying that those officers could best be described as armed robbers. He hinted that gone are the days when CIU was made up of vibrant and intelligent officers who knew about value, tariff and trade as well as classification observing that those officers currently working are after money. “They just come to CIU, they believed that CIU is where they will make their money. They have empowered themselves so much that without them, you cannot take your delivery. You have to wait for them to do examination , sometimes your container will be positioned for examination and they will not come until evening and you go begging them to come”. “And when they come, they come so sluggishly and when they want to write your report, they will tell you where is the money? Go and bring the money. At the end of the day, just to bring a container out from the port will cost you millions of naira”, Molokwu said. He therefore called on the Management of customs to look into Tincan customs command and see how they can trim the command to size so as to allow the competent ones to move ahead. He however congratulated those officers that were recently promoted in the service saying that that was one of the things that they commend the Comptroller General of Customs apart from his administrative efforts and training and retraining of officers urging him not to relent.